The Abaco 50 Slab Clamp is Abaco's top seller. The Abaco 50 Slab Clamp is now in white. 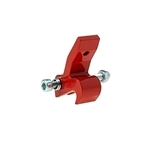 The Abaco 75 Slab Clamp is Abaco's top seller. The Abaco 75 Slab Clamp is now in white.